Voted: "The Best Organic Lunch"
and "Best Place To Buy Vitamins"
128 SW H Street Grants Pass, OR 97526 | 541-474-5044 | Call to Order! benefits. The more overweight a person is, the more likely he or she is to have health problems. The more health problems someone has, the more likely it is that their doctor will prescribe toxic medications which can lead to unwanted side-effects. Since most normal people can lose weight if they put their mind to it, the question becomes: how do we keep the weight off? Regular moderate exercise and eating sensible portions of healthy foods are obviously the cornerstones of maintaining a healthy weight. Can artificially sweetened “diet” sodas and “diet” foods be considered part of a rational weight management program?… Absolutely not! weight gain. At one time Aspartame accounted for more than 75% of all the total adverse food reaction reports tallied by the FDA. Brain tumors, leukemia, seizures, visual disturbances, headaches and gastrointestinal complications are among the most commonly documented problems. So Aspartame will likely make you fat and sick! Aspartame is sold under the names Equal, NutraSweet, and there’s even a new name for it that sounds really healthy, AminoSweet. It will be the exact same product with only a name and packaging change but the ad men will undoubtedly try to convince you that you’re dealing with a unique new zero-calorie sweetener. Don’t be fooled, it’s the same old toxic formula. It’s ironic that artificial sweeteners may cause weight gain. This is partially because if you eat artificial sweeteners, the body naturally responds to their sweet taste by secreting insulin. Rather than receiving sugar in the blood as expected it receives a combination of chemical compounds. Doing its normal job the pancreas will have secreted insulin searching for sugar to process. Since no sugar was ingested, the insulin will cause blood sugar to become too low and endanger your body until your body signals hunger which becomes a sudden strong craving for anything that will raise your blood sugar. Artificial sweeteners cant do that so your body will crave carbs and sugary foods just to survive. Splenda is a trade name for the artificial sweetener Sucralose. Splenda withstands heat better than Aspartame so its used in many cooked foods. However, a recent Duke University study determined that Sucralose contributes to obesity, destroys almost 50% of healthy intestinal bacteria and will likely cause more weight gain than eating natural sugar. Into the realm of the pseudo-natural, folksy television ads now try to convince us that High Fructose Corn Syrup (HFCS) is natural because it’s a distant relative of natural corn. That is like saying MSG is natural because it’s a distant relative of whole wheat. Because of federal subsides to corn farmers HFCS has an artificially low price and is being used widely in the manufacture of carbonated drinks and numerous other foods. Fast food chains add it to their products because it is cheaper than sugar. It’s in the sauces, the condiments, the breadings, the buns and the drinks. It’s the commercially preferred sweetener because it’s cheap and people have been brainwashed to believe it’s natural. The big problem is: research has shown that HFCS goes directly to the liver, releasing enzymes that instruct the body to then store fat! This can elevate triglyceride (fat in blood) levels and elevate cholesterol. This fake fructose likely slows fat burning and causes weight gain. Other research indicates that it doesn’t stimulate insulin production, which normally creates a sense of being full. Therefore, people will eat more. It can also reduce important chromium levels which can contribute to type 2 diabetes. Fact is: even though regular cane sugar should be used in moderation it is still a far healthier option than chemical sweeteners or High Fructose Corn Syrup. 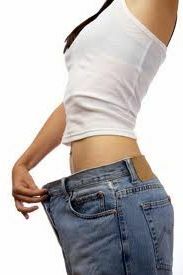 However you’ve done it, congratulations to people all over town who’ve worked hard to re-establish a healthy weight. Please be smart and avoid these hi-tech fake foods that can undermine your weight and health goals. in The Daily Courier 8-17-2011. Check out how we're making a difference in our customer's lives!